JENNIFER R. CALHOUN, MBA, CHE recently completed her doctoral program at Auburn University in Alabama and is now on the faculty of Coastal Carolina University in Conway, SC. As President of J & J Calhoun and Associates, Inc., she has over 25 years of experience developing and facilitating workshops for all levels of workers in hospitality, tourism, and educational organizations. Her expertise is not just multifaceted but multicultural. Jennifer was responsible for working with clients in the United States, Canada, Eastern and Western Europe, Asia, South America, Latin America, and the Caribbean to develop business strategies to improve their productivity, reduce costs, and train managers and line associates. 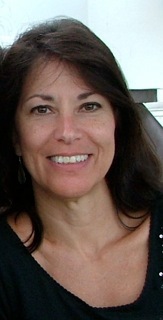 She was also the Director of Seminar Programs for the American Hotel & Lodging Educational Institute, where she had the unique opportunity of designing learning to meet organizational needs, managing organizational knowledge, delivering training, measuring and evaluating training, and improving human performance for all levels of workers in hospitality and tourism industries, both in the United States and overseas. Among her projects, she has designed programs in Visionary Leadership, "Diversity," "Front Office and Housekeeping Training for Managers and Employees," "Quality Assurance for the Hospitality Industry," "Time Management," and Train-the-Trainer workshops. Dr. MARC D CLARK, CHA CHE CHO is a service/hospitality veteran of more than three decades. Over his career he has conducted over 3,400 domestic (42 states) and international seminars in such locations as Mexico, Canada, Panama, Thailand, Taiwan, India, Switzerland, Spain, Africa, Puerto Rico and the Caribbean. Dr. Clark is the author of SMART MANAGEMENT and The Manager's Toolkit: 61 Building Blocks for Success. He is a Senior Advisor for GATE Hospitality University in Katmandu, Nepal. 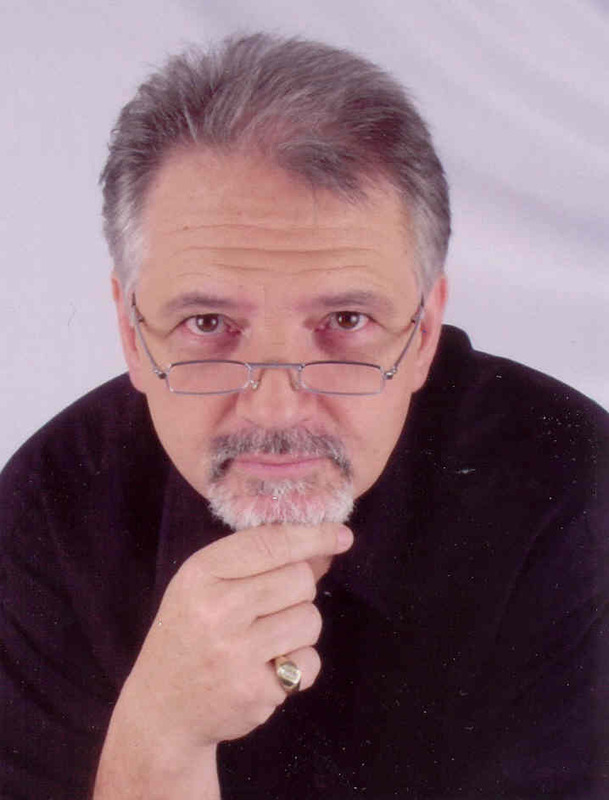 Over the past five years he has had published over 300 managerial articles on such topics as human resources, organizational development, training & education, soft skills development, sales & marketing, hotel operations, and customer service. He was the first recipient of the National Career Achievement in Human Resources Training Award, and received the Distinguished Public Service Award from the State of Tennessee for contributions to the area of hospitality/service training. He holds the designations of Certified Hotel Administrator (CHA), Certified Human Resources Executive (CHRE) and Certified Hospitality Educator (CHE) from the American Hotel & Lodging Association. AH&LA has presented Dr. Clark with its prestigious Lamp of Knowledge Award, identifying him as an outstanding national educator. The Asian American Hotel Owners Association awarded Dr. Clark the Certified Hotel Owners (CHO) designation. DR. WILLIAM FRYE, CHE CHO an Associate Professor at Niagara University's College of Hospitality and Tourism Management and a doctoral graduate from the School of Hotel, Restaurant, and Recreation Management at Pennsylvania State University. He teaches classes in hotel operations and management, hospitality and tourism law, club management, and hospitality marketing and is the professor in charge of several of Niagara's hospitality and tourism internship and cooperative education programs. 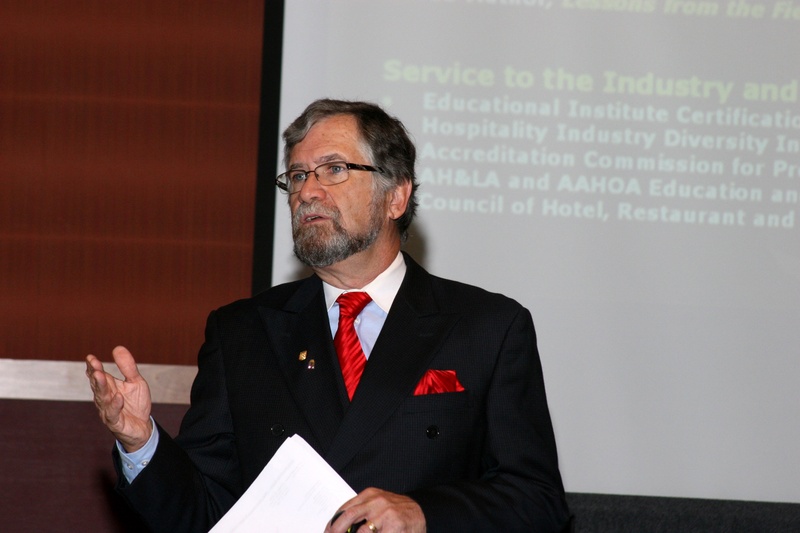 Dr. Frye is the current chair of the Lodging Special Interest Group for the International Council on Hotel, Restaurant, and Institutional Education. He holds a Master of Hospitality Management degree from the Hilton College of Hotel & Restaurant Management at the University of Houston. Dr. Frye has been certified three times as a Certified Hospitality Educator from the Education Institute of the American Hotel & Lodging Association and served on the nominating board of the International Council of Hotel, Restaurant, and Institutional Education. Dr. Frye is the executive editor of The Rooms Chronicle® and the editor of the Electronic Journal of Hospitality Legal, Safety and Security Research. In 2008, he co-authored a textbook, Managing Housekeeping Operations, published by the American Hotel & Lodging Educational Institute. Dr. Frye possesses over 20 years management experience and has been associated with the hospitality industry for the past 15 years, primarily in hotel operations and hospitality education. Prior to arriving at Penn State, Dr. Frye was the general manager of a resort lodging property in Taos, New Mexico. He has also been employed previously by The Copley Plaza-A Wyndham Hotel, a historic, world-class luxury hotel located in Boston, Massachusetts as a night manager, as well as the Sonesta Hotel Corporation, Wyndham Hotels & Resorts, and Hilton Hotels in rooms division operations. Dr. John Hogan, CHA CMHS CHE CHO is a career business professional and educator who has held senior leadership with responsibility in several organizations involving operational, academic and entrepreneurial enterprise. He has demonstrated competencies as a strong leader, relationship builder, problem solver and mentor and frequently invited to speak at franchise meetings, management company and hospitality association industry events. He also acts an expert witness in both research and testimony in hospitality industry related cases. He has managed properties with Sheraton, Hilton, Omni and independent hotels. 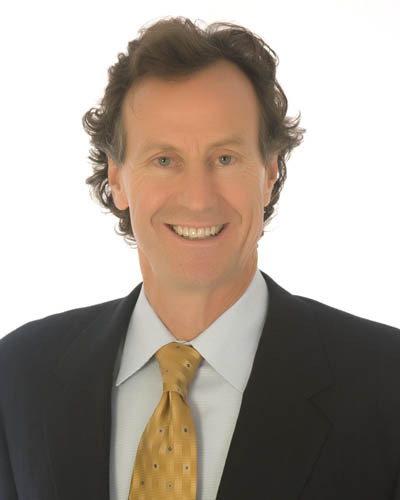 He holds a number of industry certifications and is a past recipient of the American Hotel & Lodging Association's Pearson Award for Excellence in Lodging Journalism He has also led teams to awards of excellence in general management, marketing, housekeeping and maintenace, public relations and traing from international brands. He has served as President of both city and state hotel and hospitality associations. Kathleen Hogan, MBA CHO is Chief Exeutive Officer Co-founder of HospialityEducators.com, a membership site for hospitality professionals with an emphasis on providing resources for operational managers of hotels and restaurants and making hotels more profitable. Specialties starting with the Internship Program Series.